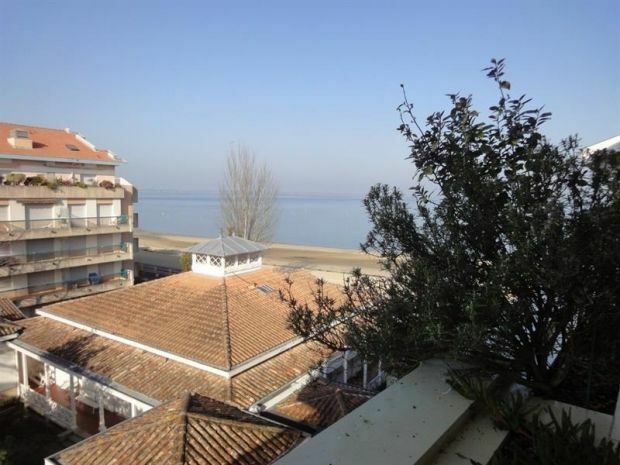 Ideally located in the city of Arcachon, quiet, beautiful apartment T4 duplex, about 110 m², very bright, on the 4th and last floor of a residence with elevator. It has underground parking. Great entrance. Its beautiful living room with its sitting area with TV, (no WIFI), bright and its dining area, it opens onto a terrace, which offers a side view of the Bassin d'Arcachon. A separate fully equipped kitchen with hob, fridge / freezer, oven, Nespresso, dishwasher and washing machine. Large adjoining pantry with microwave. A room with two twin beds in 90 and closet, overlooking a balcony. A bathroom. A second room with a bed 140 for two people, also overlooking a balcony. A bathroom with WC. And a separate toilet. Upstairs - a bedroom / attic office with a trundle bed offering two beds in 90 and closet, overlooking a small balcony. 500 m from the city center and direct access to the beach of Eyrac. ADDITIONAL SERVICES: -Draws: 20 € / person and week, bath kit: 15 € / person and week, baby chair / cot: 10 € / week. ARCACHON BASIN - DUNE DU PYLAT - BOAT - RESTAURANTS - BIRD ISLAND - SHOPS - STATION Close to the Dune du Pyla, close to the wide beaches Océanes Landes, you can choose to enjoy the 220 km of bike paths , discover the Basin by boat, practice or introduce you to surfing, fly over the Dune paragliding, multiply the golf courses, all, tasting the wines and oysters of the region. It's up to you to build your program, according to your desires and your days. There is no doubt that the richness of the region, its natural environment and the diversity of possible activities will contribute to the success of your next vacation. petit bémol :il faudrait juste nettoyer les vitres et surtout les terrasses a cause des déjections d'oiseaux.. Location idéalement située dans résidence calme, bon accueil à l'agence.